So I’m watching cartoons, which is customary in our household because of the children but also because they’re awesome (or at least used to be), and I came across an epiphany. Now I shouldn’t completely oust Disney alone for this as I’ve seen it in other things as well, but there’s something I don’t quite get and it extends to reaches the likes of which you couldn’t imagine…so here goes. Every so often I’m subjected to cartoons. Sometimes willingly, other times Clockwork Orange style. Even still, there have been some episodes I know we’ve all wanted from these toons and I’m going to lay out a few ideas I’ve had recently. About 7 years ago, I explained why Zelda was not an RPG on Project Wonderboy, the first site I ever wrote at. It was a fun article that only exists in the old Internet graveyard today, sadly. Even still, it’s a topic I toil and fuss over regularly because, wouldn’t you know, people still think it’s an RPG. These people are what I like to call WRONG. But don’t worry if you’re one of them! I’ll explain why you’re an idiot. 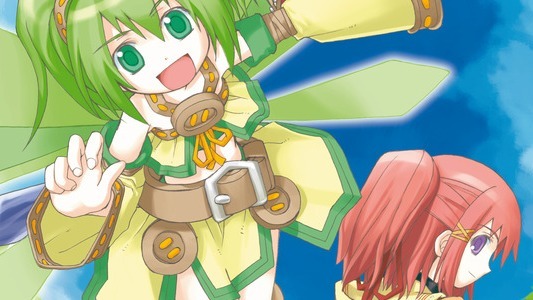 Much like when Nippon Ichi released Disgaea THEN La Pucelle in America, despite them coming out in reverse in Japan, Chantelise was released AFTER Recettear in America…and sadly doesn’t quite live up to the fun, strange, engrossing quirkiness of such. Even if you really, really loved Recettear, I simply cannot recommend this title.